Golden Shine Automotive Paste Wax features pure Brazilian carnauba combined with resins and polymers to create the highest shining and longest lasting car paste wax on the market. Our custom formula uses only the finest ingredients to preserve and protect your vehicle’s finish from harmful weather, dirt and UV rays. Pure Brazilian carnauba has long been known for its unparalleled protection and shine. Golden Shine Paste Wax is blended with finest resins and polymers to make the product easier to apply without sacrificing performance. After your vehicle has been washed and polished, apply Golden Shine Paste Wax to the vehicle a small section at a time. Allow the product to haze for a few minutes and buff to a high shine with Premium Microfiber towels. Carnauba Paste Wax should be applied indoors and not in direct sunlight. 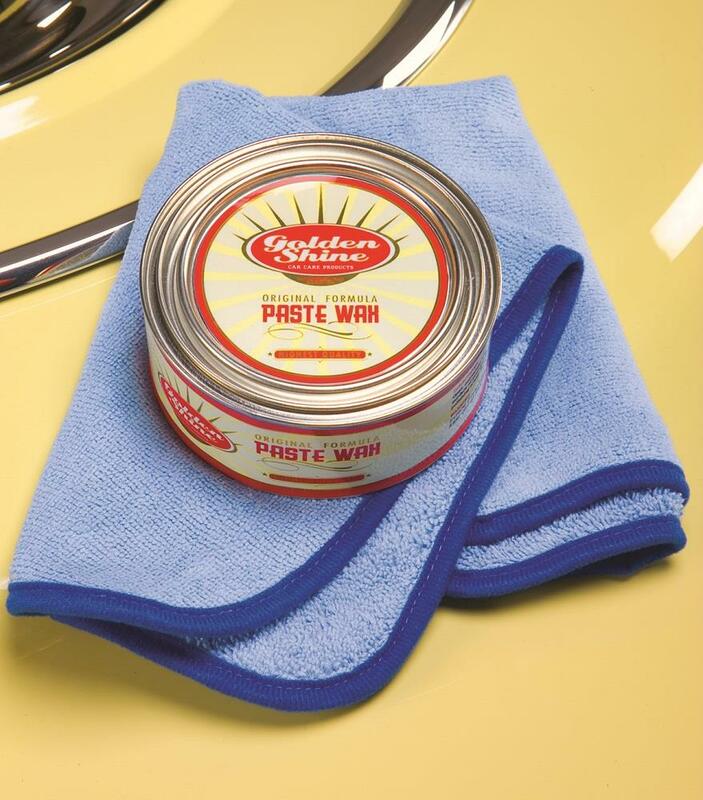 For best practice, remove Paste Wax about 3 to 5 minutes after application. Do not allow Paste Wax residue to build up on your vehicle’s plastic or rubber trim as it may be difficult to remove from non-painted surfaces.